Today I turned on the tv to the wealth channel (one of my favorite channels) which covers topics of travel, culture, real estate, food etc. and I tuned into a program talking about the dead sea and the extraordinary healing properties and unique features of this area of the world located in Jordan. The dead sea could more likely be called “The Sea Of Life” with all of the healing, medicinal and life giving properties it contains. The dead sea is one of the most mineral rich bodies of waters on planet earth. In fact, when you go swimming in it you float because there are so many minerals. It’s funny, The dead sea is the saltiest body of water on planet earth. 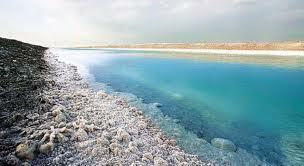 The salt content in the dead sea is 29% as compared to the 4% salt content in oceans. Because of this salt content many aquatic organisms and life that would regularly live in the sea or water is non-existent here. There are many minerals in the sea from magnesium, to potassium to dissolved bromides among others. The water is so mineral rich that soaking in it get’s in your pores and is a great treatment for psoriasis on the skin topically as well as arthritis because of the mineralizing of the joints and body. It’s also great for arthritis because you float so you can do therapeutic exercises and movements while giving your body and joints the minerals they need to become healthier. Research into the mineral rich dead sea salt has shown that it has and can reduce wrinkles by up to 40%! This sea is great for the skin in multiple ways. There are many aspects to the dead sea that give it the so many therapeutic and healing properties. The sea itself is rich in minerals and because of this it’s great for the skin and joints as well as calming for the nervous system. Beyond the sea on the shore of the dead sea is an extremely rich dead sea mud that many visitors use to rub on their skin and exfoliate with in the sun. This mud is mineral rich and very beneficial for giving the skin and bloodstream minerals as well. These are just a few reasons that i’m looking forward to visiting Jordan and the dead sea someday! Beyond the mineral rich sea and mud there is also a very interesting and unique fact about Jordan near the dead sea. This is the lowest point on earth so the atmospheric pressure is higher and there is 10% more oxygen in this region because of this. People with respiratory health concerns and conditions seem to see improvement when visiting Jordan and the dead sea. This means that while in the dead sea you are giving your body plenty of minerals as well as breathing some of the highest quality oxygen on the planet. Not only are all these benefits amazing but research is also looking into reduced ultraviolet solar radiation levels as well in the region. Could the minerals and oxygen protect and prevent the body from being damaged by UV rays? This is my thought but the research is still being done it seems. I plan on visiting Jordan one day, to visit the dead sea and to experience this life giving rejuvenating experience for myself. From the mineral rich mud, to the mineral rich sea to the higher levels of oxygen and barrier of protection and life that these salts provide i’m sure it will be a truly unique Healthy Wild And Free experience to share with you down the road! P.S. 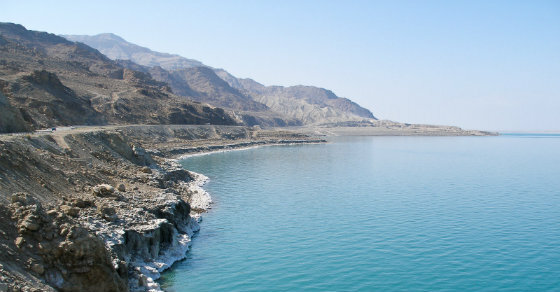 It’s funny that this is called “The Dead Sea” because aquatic organisms do not live here, yet when we enter the dead sea it gives us minerals, more oxygen and more LIFE! Out of death comes new life. Last I heard the Dead Sea bordered Israel and Jordan.